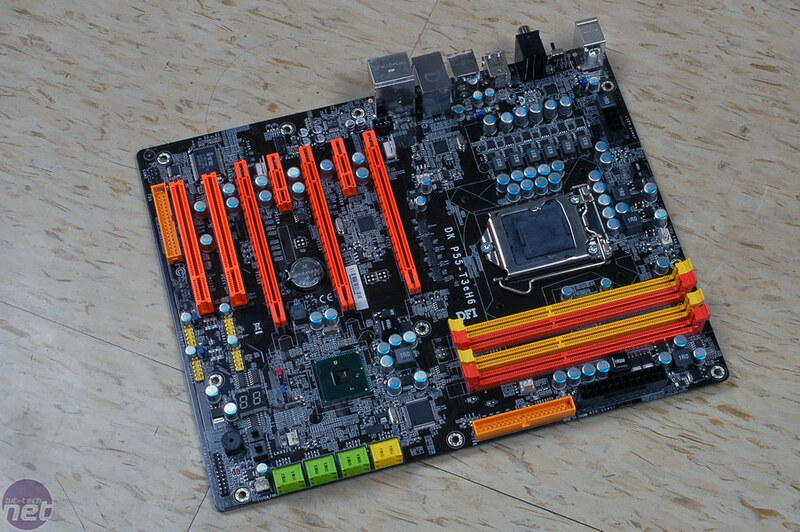 DFI didn't bring its P55 boards to CeBIT, but when it got home, the company did send us pictures of one of its boards straight from Taiwan. 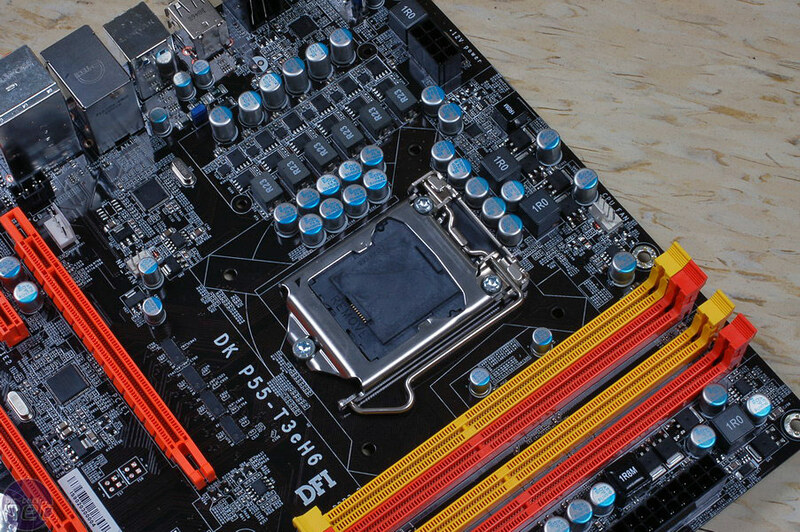 There's no change in colour and style for the DK - we've still got black, orange and yellow, and I'd expect those SATA ports to change too - it is a very early sample after all. 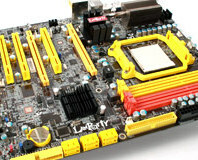 We've still got IDE though - several of the P55 boards we've seen so far haven't dropped that yet either - but there are eight SATA ports to expand into. 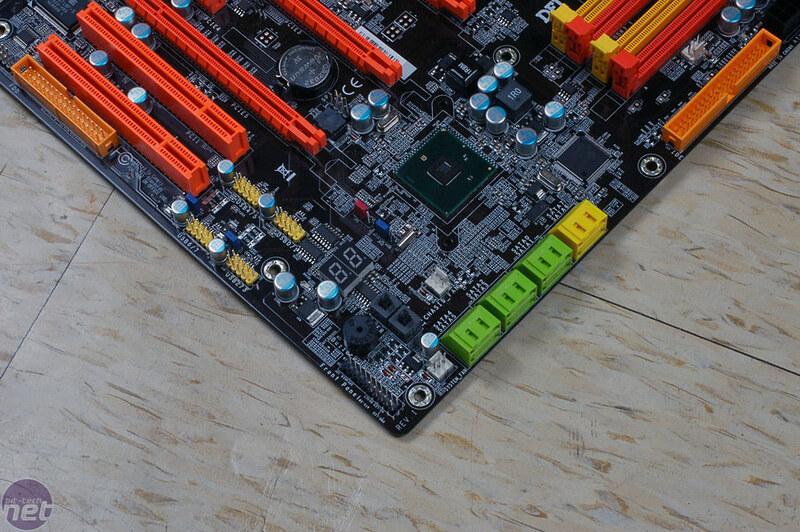 Three PCI-Express x16 slots offer x16-x8-x8 in total, or x16-x16 for standard dual card multi-GPU, although we don't know yet if you can choose what second slot to use therefore giving you a choice to either sacrifice a PCI or PCI-Express x1 underneath. 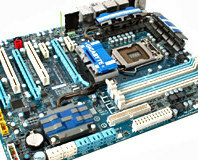 In this model, DFI uses eight phase CPU power regulation, although we're not sure whether that's a 6+2 configuration just yet, but it's certainly quite a lot less than what other board manufacturers feel the need to include. The layout looks pretty good, and without a northbridge that first PCI-Express x16 slot is nice and high, while still giving plenty of room around the CPU. 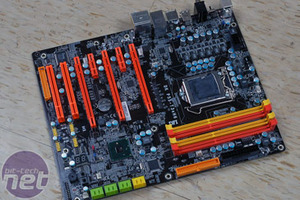 However, it's worth mentioning that the memory slots look a touch closer than other boards. Curiously there are also no display outputs on the rear I/O like the Biostar board too - are companies eschewing support to disable the on-chip GPU in order to save power and cost to the end user? (Which would also explain the lack of extra power hardware). We won't know the cooling solution until much closer to launch, but there's little doubt there will be something Thermalright-crazy in the works. 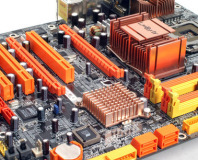 Are you ready for the next round from Core i5 in Q3? 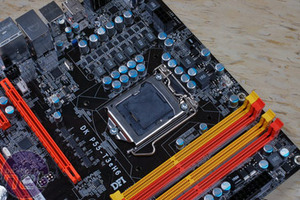 Which board do you think is the best we've seen so far: Gigabyte, MSI, Biostar or this DFI? Let us know your thoughts in the forums.